The freeloader is a little girl... and a sister-in-law?! 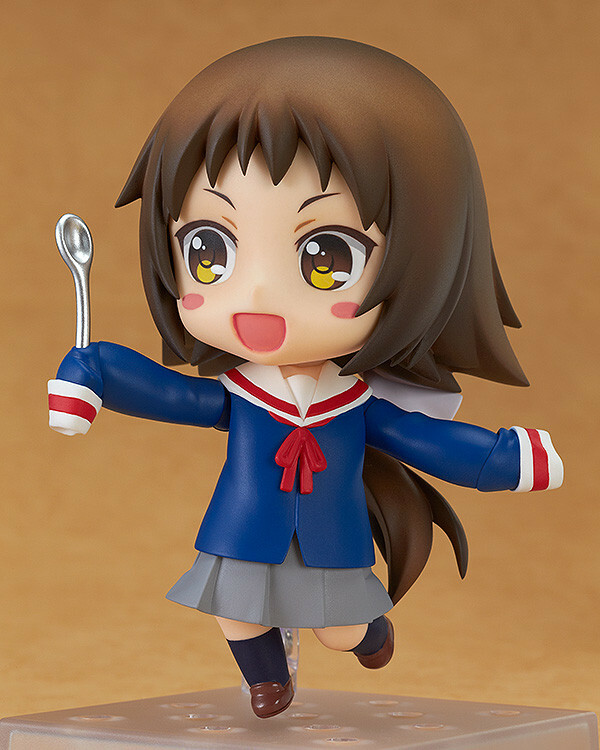 From the anime series 'Mikakunin de Shinkoukei' comes a Nendoroid of the 'loli sister-in-law', Mashiro Mitsumine! 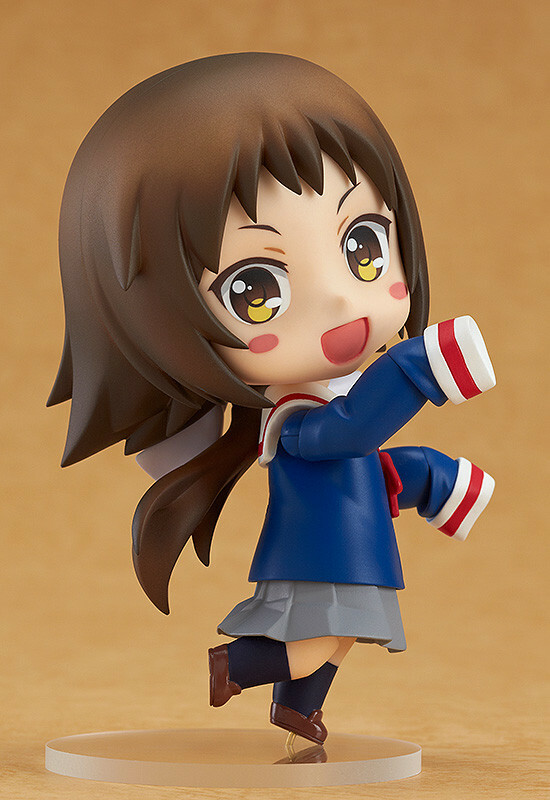 Her needlessly large school uniform has been faithfully preserved in Nendoroid size, and she comes with three expressions including a confident expression, an innocent smile and a chibi expression filled with excitement! 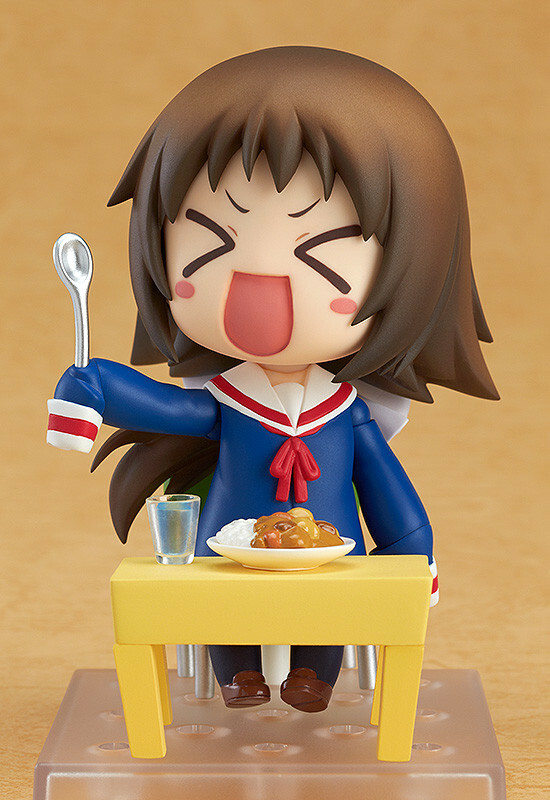 She also comes various parts to recreate the opening scene from the ending theme - some curry rice, a spoon, cup, table and chair are all included! 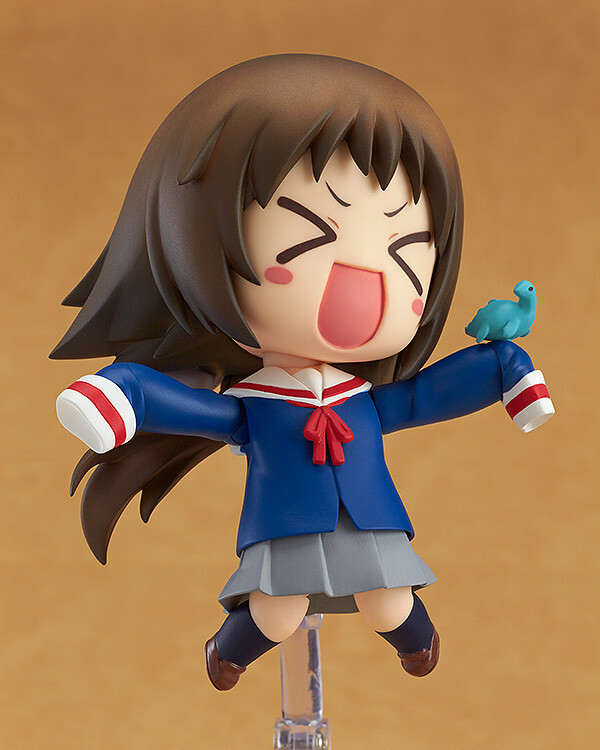 Her beloved toy of the UMA 'Mokele-mbembe' is also included for her to enjoy! 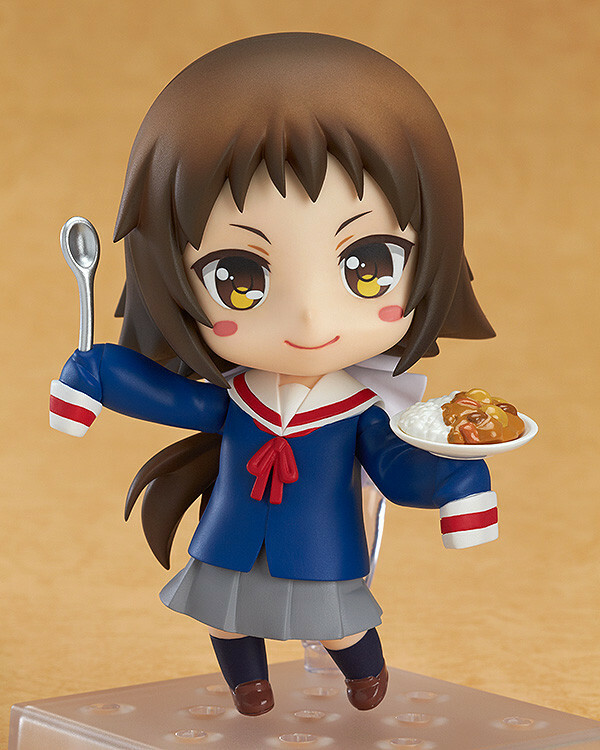 Be sure to grab the Nendoroid sister-in-law for yourself and keep her by your side forever! 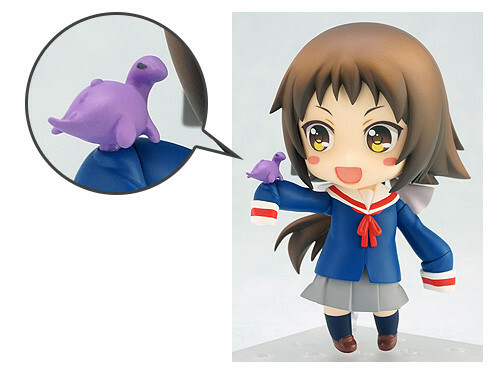 Orders of Nendoroid Mashiro Mitsumine from the GOOD SMILE ONLINE SHOP will include a 'Nessie' part as a bonus!